In our previous posts, we saw how you can add settings for your product to enable deliveries for specific dates or recurring weekdays. 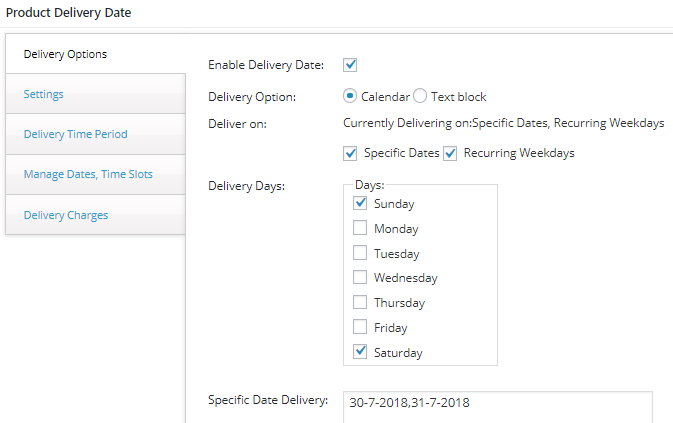 We can also add settings for both specific dates and recurring weekdays together using Product Delivery Date Pro for WooCommerce plugin. Consider an instance where a Pet shop delivers products on all Saturday and Sunday but not on weekdays. It also delivers on 30th and 31st July as its their opening day, hence offering discounts to customers. 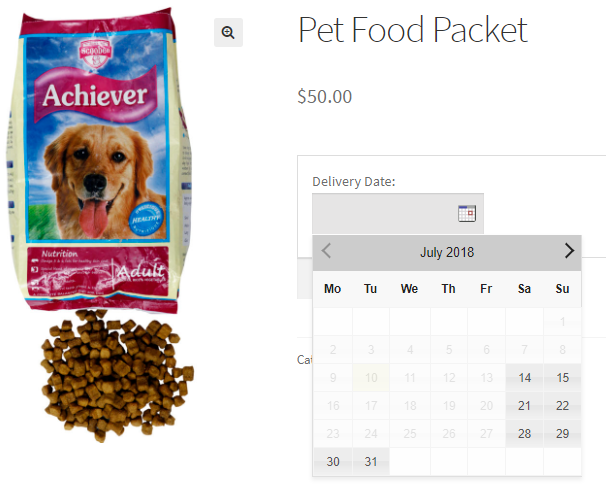 So on these 2 specific dates also, they allow delivery of Pet Food Packets. As you can see above, Saturday and Sunday are selected as recurring weekdays and specific dates – 30th July & 31st July, 2018 are added when deliveries will be enabled. 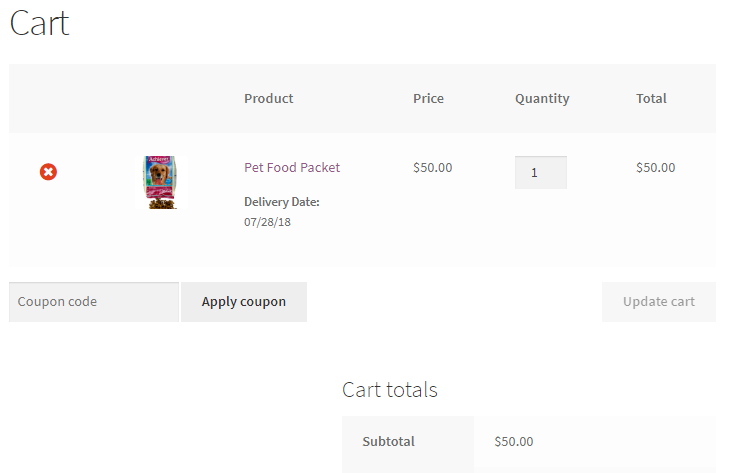 This post explains how you can add delivery of products which are delivered on specific dates as well as selected weekdays that will recur every week. There is an option on the Products page for adding recurring weekdays and specific dates, when delivery of the product can take place. This will disable all the other weekdays in the delivery calendar on the frontend, so that the customer knows when their selected product can be delivered.